Fr. 1962-B. 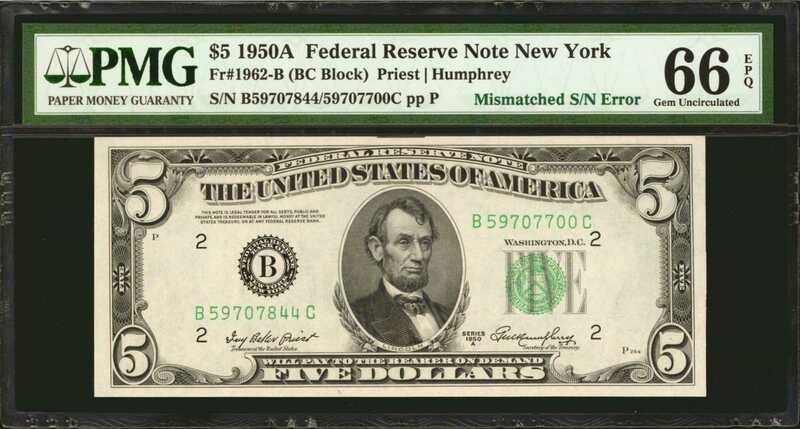 1950A $5 Federal Reserve Note. New York. PMG Gem Uncirculated 66 EPQ. Mismatched Serial Numbers.A wonderful high grade example of a this seldom offered digit mismatch serial number B59707844C/B59707700C 1950A $5. A solid Gem with large even margins on both sides, and punch through embossing.